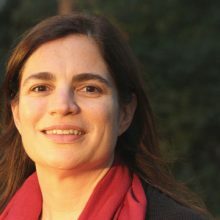 Aslı Bâli is Professor of Law at the UCLA School of Law and Faculty Director of the Promise Institute for Human Rights. Bâli’s research focuses on two broad areas: public international law—including human rights law and the law of the international security order—and comparative constitutional law, with a focus on the Middle East. Her scholarship has appeared in the American Journal of International Law Unbound, Cornell International Law Journal, International Journal of Constitutional Law, University of Chicago Law Review, UCLA Law Review, Yale Journal of International Law and Virginia Journal of International Law, among others, and her edited volume Constitution Writing, Religion and Democracy was published by Cambridge University Press in 2017. She also currently serves as co-chair of the Advisory Committee for Human Rights Watch-Middle East.